Life itself is a challenge, but if you are a call centre agent you will find that challenges are flung in your direction from every possible corner of the connectivity range of your telephone. There is no doubt that your task is very daunting indeed, yet it is not insurmountable. Success comes, but at a price. And that price is hard work and a proper understanding of the psychology of the customer who is on the other end of the phone. It is only your amiable nature, patience and demonstrating your willingness to help that can put you on top. Complex situations of various types will crop up as soon as you put yourself in the hot seat of a call centre agent. Customers – each with different backgrounds and moods – will be ready to pounce on you with multifarious complaints as soon as you start taking their calls. Some of them might be complaining about a wrong shipment whereas others might be moaning about the poor quality of the company’s products or services. Esha Goel, a call centre agent at V-customer, has defined dealing with such challenging calls as “providing a satisfactory resolution to an irate or upset customer’s complaint in a positive and caring manner”. The main priority is to focus on the customer and adopt effective communication strategies. Once you are able to learn and put in to practice these strategies, you will find that your professional growth will be more rapid than you had ever expected. The best way to tackle challenging calls is to face the problem head-on with adequate information and a will to solve the problem rather than hide behind your manager or dodge the issue. As Diva Bhatia, a senior call centre agent, puts it: “Identifying the perfect solution of any call quickly is the only way to avoid it escalating in to a challenge”. 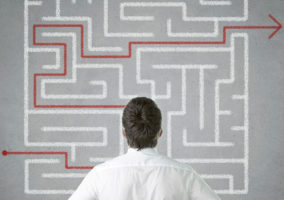 The irst step is to understand the mindset of the customer when he or she calls. Based on your judgment of the nature of the caller, you will be able to fathom out the extent of their complaint and anger. You should also be able to gauge what the customer is really looking for in the first place. 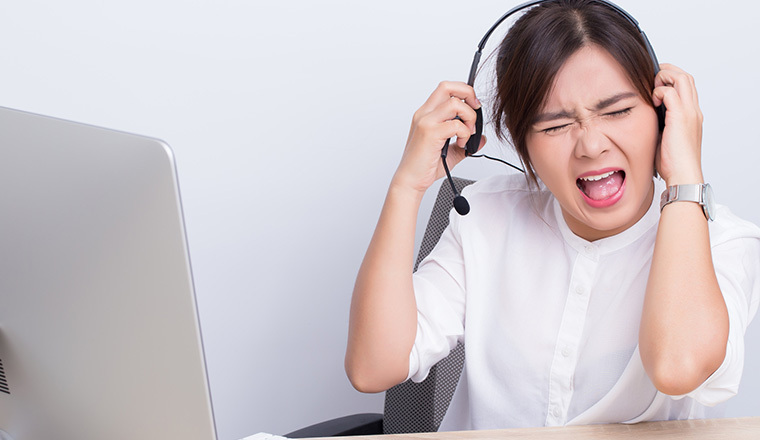 Most call centre agents are likely to be quite familiar with both abusive and awkward calls. Nearly all will have cried at one stage or another and felt completely incompetent in the face of such hostile conversations. However, if you formulate your own strategy for tackling such situations – one that focuses on the customer’s needs – you may be able to turn the situation around. 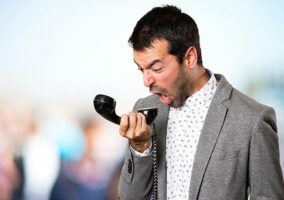 If the customer goes overboard, of course, a manager may have to step in to protect the agent, but being honest, empathetic and amiable with the caller can go a long way in dealing with abusive and awkward calls. Listen patiently to what they have to say, try to understand the real problem and demonstrate an honest intent to be helpful. This way, half your battle will be won. Make your response polite and demonstrate your willingness to come up with a helpful course of action. Obviously, you can’t produce a stock response for everyone you deal with. Just as no two people are completely alike, individuals’ attitudes can also differ hugely, so you will need to devise a range of strategies to tackle all the types of calls you receive. Harness all your professional skills to recognise the character behind each abusive call and then transform it in to an amiable conversation. You could follow the leads below to improve your abilities in handling such awkward situations. First of all, when you have finished one call, you should take a deep breath before taking the next one. Resolve from the very beginning that, however abusive and hostile the caller might be, you will not lose your cool and will remain friendly and enthusiastic in your conversation. In fact, before starting any discussion you should get the name, telephone number and the order number – if there is one – from the caller without interrupting them during the process. A useful tip is to show your sympathy without in any way displaying lack of loyalty to your company. Your response should consist of an apology in case the company is in the wrong, but you should not offer excuses for any deficiency. Remember that honesty is the best policy. It would also be advisable to refrain from promising anything. As we are all aware, the customer is king, and it is your duty as a call centre agent to make sure that the customer does not abandon your company. With this in mind, it is important to understand that the customer’s abusive remarks are not aimed at you personally, so you should not react defensively; instead you should serve the customer to the best of your ability. Your attitude should reflect your desire to solve the problem in hand and you should use all your professional skills in analysing the problem and then coming up with the best solution. A proper time management technique will help you to fulfil the needs of all your customers without neglecting any of your other duties.